I found these in my back yard all over the place in groups. This is just one group of them. One of the pics has wood chips I found them on. There are wood chips scattered all over the place. 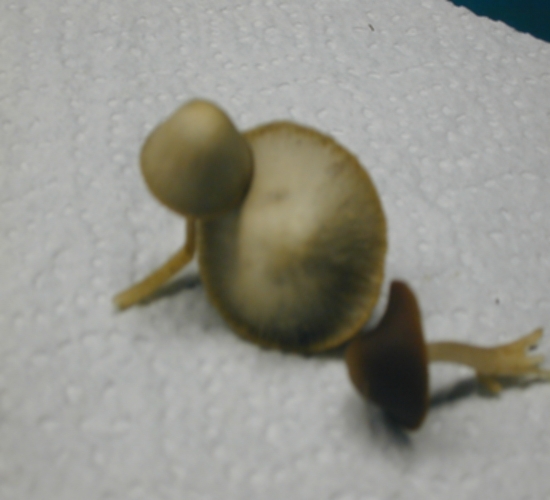 I've seen some pics here at the shroomery and I'm thinking they are libcaps. I'm not sure though. I'm making a print of one now and I would be more than happy to send them to someone with the tools to identify this straind. Here's another pic and it has nothing to do with these, but I found it on the side of my house, pinched it, and it marked green all over it. I have no idea what it is either, but I know it is active. Thanks to all that help. From what I can see, the first pics of this look like libs. 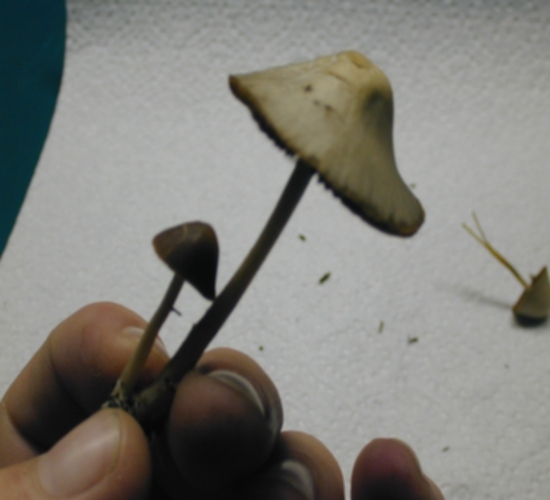 They are light yellowish stems with light brown slightly transparent caps, and the top of the cap has a dark yellow to light brown ring and then gets dark on the tip of the cap. These are the different strainds I was talking about. Edited by What_Guy on 09/11/01 07:56 PM. Edited by What_Guy on 09/11/01 11:00 PM. did you find the bluing on on wood chips? the ones you called libs are not libs or even psilocybes. 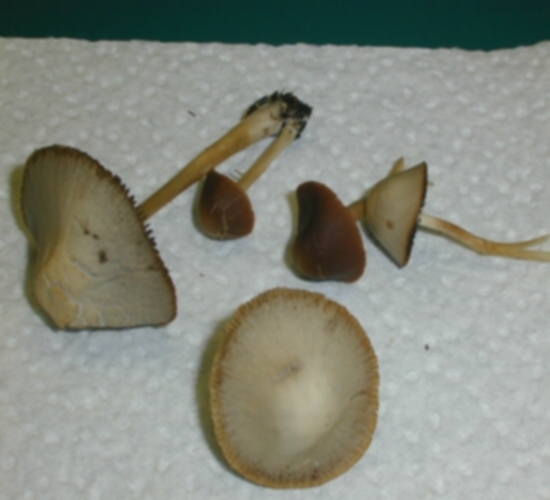 looks like a mix of psathyrellas or coprinius and what may well be psilocybe pelliculosa. Ok, I didn't look at the wood chips thay were pretty dry when I found them, I'v got a print of it , it is dark purple, the last 2 pic were found in the grass by it self. All this were found in the yard. The orgin of it is East Central Michigan, so what do you think, if you know some one who can test the print of the first pic, I'd be more then gald to send it your way. 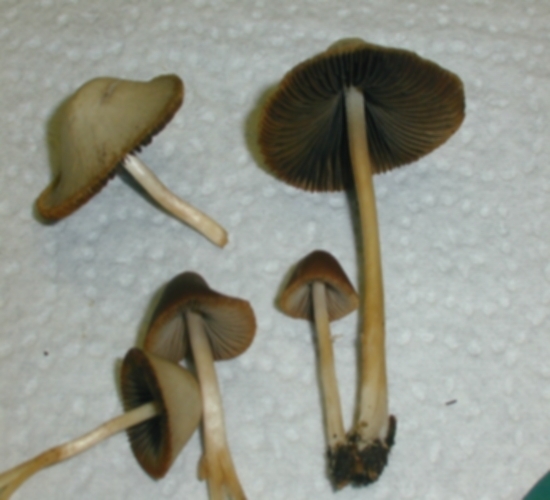 they look very psathyrella-ish to me. 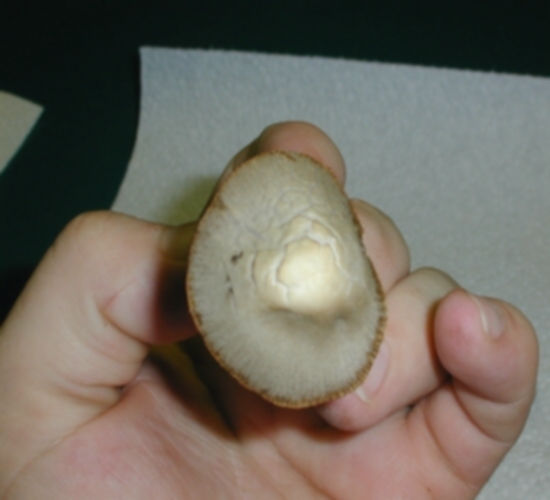 lets look at the darkness of the spore print. the habitat matches, and if it is more black than purple, then it's likely psathrella. I can't spell, sorry. Sorry if you can see then well, thay are still in my glove box.If I need to take more pic let me know. Edited by What_Guy on 09/11/01 06:29 PM. 1,829 topic views. 5 members, 40 guests and 8 web crawlers are browsing this forum.